Hey y'all! My name is Amacia and I am so grateful to serve as the 2018 Merced FFA Sweetheart. My mission statement as the FFA Sweetheart is to "Always represent our chapter, community and organization with a smile on your face and love in your heart." 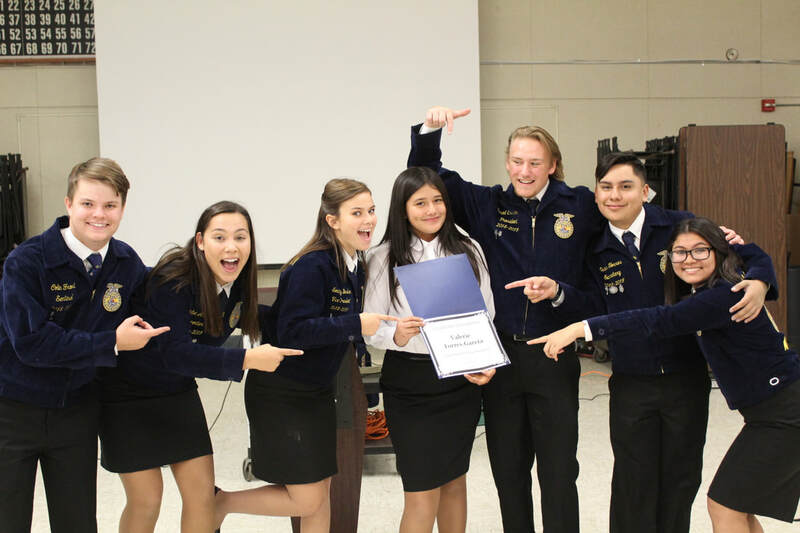 Best FFA Memory: Getting to connect with members all over the state of California and create lifelong friendships! Quote to Live By: "The only thing worth doing is going toward love." My senior year of high school, I was chosen from over 100 applicants to serve as a California Delegate at the 2017 National FFA Convention in Indianapolis. I was beyond inspired by the amount of leadership pouring out of these young people from all over the United States. This year, I got the chance to travel to Indianapolis once again as a student workshop facilitator with one of my closest friends and Central Region officer teammate, Jesse Corona. Jesse and I presented our workshop entitled, "Can You See The Leader In You?" 3 times throughout the duration of the convention, each with around 200 students per workshop. In total, we were able to share our message with nearly 600 FFA members from all across the country! Our goal was to challenge the students to take a look at diversity within leadership, identify their individual leadership styles and encourage them to use this to be self-empowered leaders.